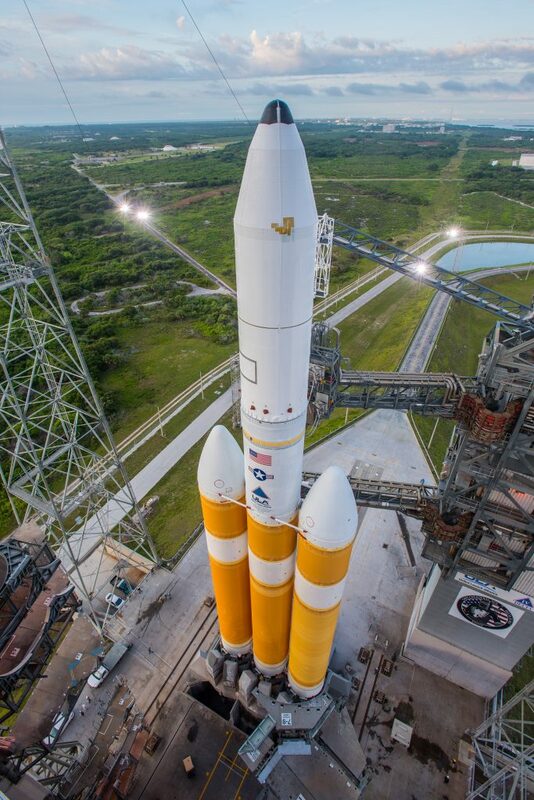 The Delta IV Heavy Rocket carrying the classified NROL-37 payload for the U.S. National Reconnaissance Office is ready to try again after Thursday’s scrubbed launch attempt. 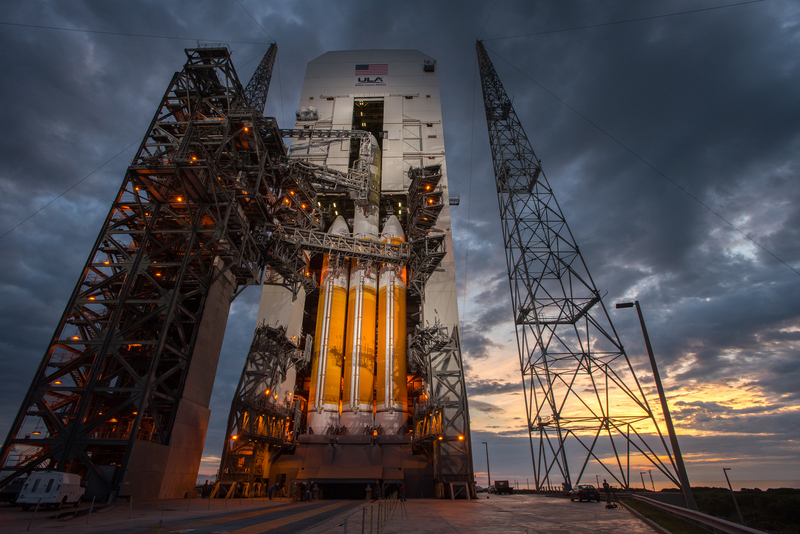 Heading into countdown operations, United Launch Alliance is aiming for liftoff on Saturday during a window opening at 17:51 UTC and extending approximately four hours. 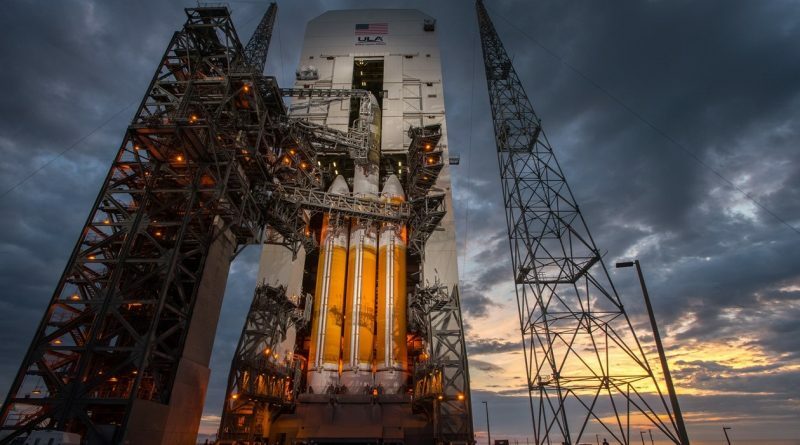 Currently the biggest rocket on the U.S. launch market, Delta IV went through a very clean countdown on Thursday and was ready for liftoff during the day’s window, however, weather would not permit a launch as thick clouds and thunderstorms moved through the vicinity of the Cape Canaveral launch site for the entire four-hour window. On Friday, no launch attempt was made because SpaceX had booked the Eastern Range for a Static Fire Test of their Falcon 9 rocket, set for liftoff on Tuesday with a pair of commercial communications satellites. Information emerged in the afternoon (local time) that the Delta mission was impacting the planed Falcon 9 operation due to spaceport services – presumably on the range side – not being available. Weather forecasters are not particularly optimistic about Saturday’s Delta IV launch attempt, issuing a 40% chance of weather rule violations due to cumulus clouds, lightning and anvil clouds. Odds of bad weather increase to 60% later in the window. The boundary that brought showers and storms on Thursday is still in place south of the Space Coast and an upper-level short wave is expected to arrive in the area during the launch window, creating a disturbed weather pattern. Showers and thunderstorms will form along the boundary and anvils will be pushed toward the spaceport. Forecasters expect the opening of the window to be looking most favorable with weather deteriorating as the day goes on. A launch attempt on Monday would look more promising from a weather standpoint with an 80% chance of favorable conditions. Should a Saturday launch not be possible, the Cape schedule would become even more congested as Falcon 9 is most likely aiming for a Sunday Static Fire to keep their option of a launch attempt on Tuesday which may still be possible if the test can occur on Sunday. Delta IV was revealed on its pad Saturday morning when the Mobile Service Structure was once again rolled back to its launch position to mark the start of the lengthy countdown, beginning with final close-out work on the launch pad ahead of the activation of the Delta IV rocket for detailed checkouts and reconfigurations. Propellant loading on the launch vehicle begins four hours prior to liftoff as the three Common Booster Cores and the Delta Cryogenic Second Stage are filled with a total of 633 metric tons of supercold Liquid Oxygen and Liquid Hydrogen. Slew Tests of the three RS-68A engines, tests of the vehicle’s destruct system and communication checks occur inside L-90 minutes, leading into flight software load and the transfer to internal power on the NROL-37 payload. Provided Delta IV passes all checkouts and weather is GO, teams will approve Delta IV to head into the Automated Countdown Sequence at T-4 minutes to put the rocket through its final preparatory steps prior to blastoff that include tank pressurization, transfer to internal power and control as well as arming of the launch vehicle. The three cryogenic RS-68A engines deliver a collective liftoff thrust of 960 metric ton force, however, the center engine throttles down around half a minute after launch to save propellants in order to continue operating beyond the burn time of the two strap-on boosters. The two outer cores will fire for a little less than four minutes before dropping away from the vehicle followed by throttle-up on the central core that continues burning its engine for another one and a half minutes. 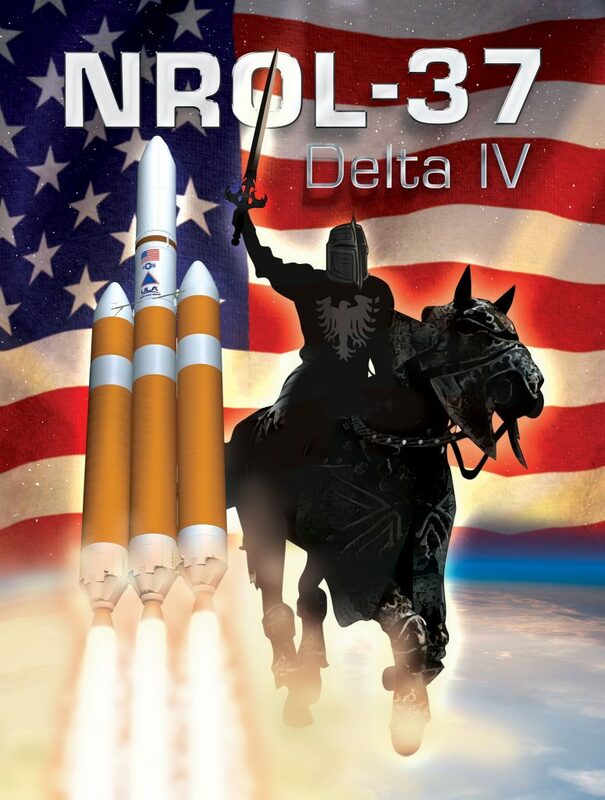 While the center core is still firing, Delta IV will drop its large payload fairing at which point the mission enters a pre-arranged news blackout, customary for classified NRO missions. After separating, the Delta Cryogenic Upper Stage will fire up its RL-10B engine to generate 11,200 Kilogram-force of thrust and lift the stack into a Low Earth Parking Orbit around 200 Kilometers in altitude. A short coast phase will set up for the re-start of the engine for a burn to raise the high-point of the orbit to around 35,800 Kilometers, positioned above the equator. Next is a multi-hour coast phase to allow the stack to climb all the way up to the apogee of the orbit for the circularization maneuver. This last burn of the RL-10 engine also reduces the orbital inclination to less than 7 degrees, to drop the satellite off in a Geostationary Drift Orbit from where it can reach its operational slot. Once fully deployed, the classified Mentor (Advanced Orion) satellite will be easily visible to observers on the ground, allowing its operational slot to be pin-pointed and also acting as a final confirmation of the payload’s identity.